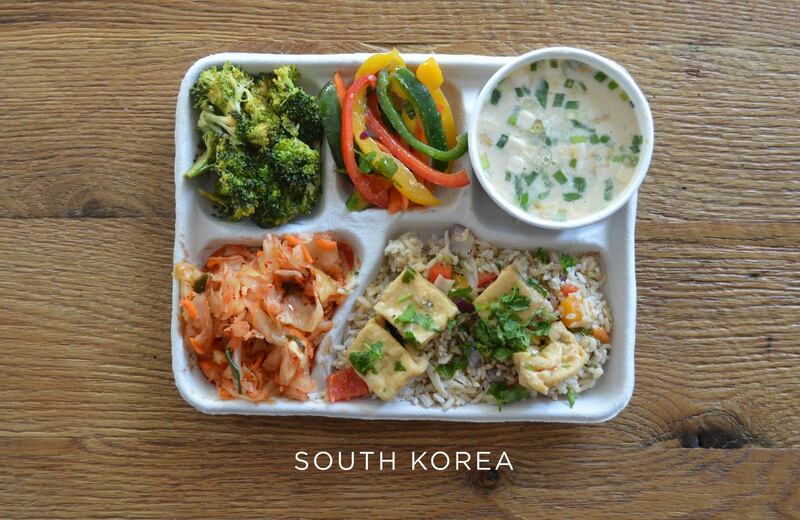 Which country's lunch would you want to be eating? More than one-third of kids in America are obese or overweight. In 2013, the National School Lunch Program, a federally assisted meal program operating in public and nonprofit private schools, served 5.1 billion lunches, Bloomberg reports. 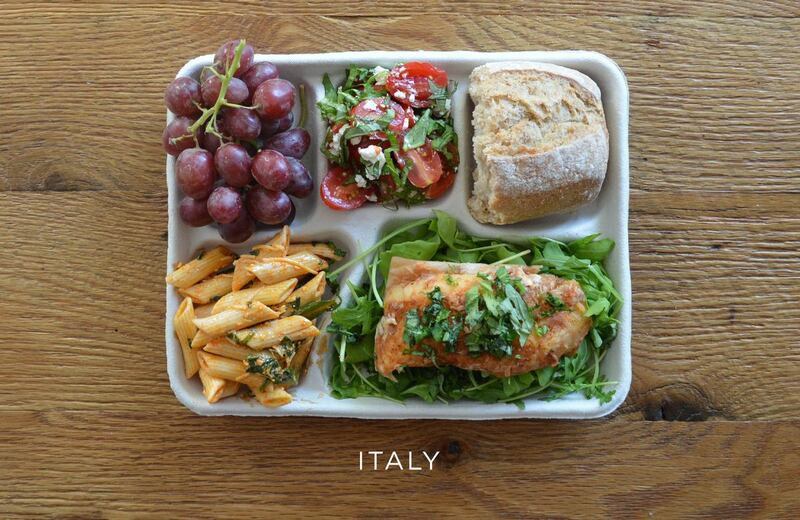 The quality of these lunches must somehow correlate to the health of America's youth, considering more than 32 million children are served NSLP every day. Parents could model better eating habits and stock their crispers with fresh fruit and vegetables, but a viable starter solution might begin at lunchtime. 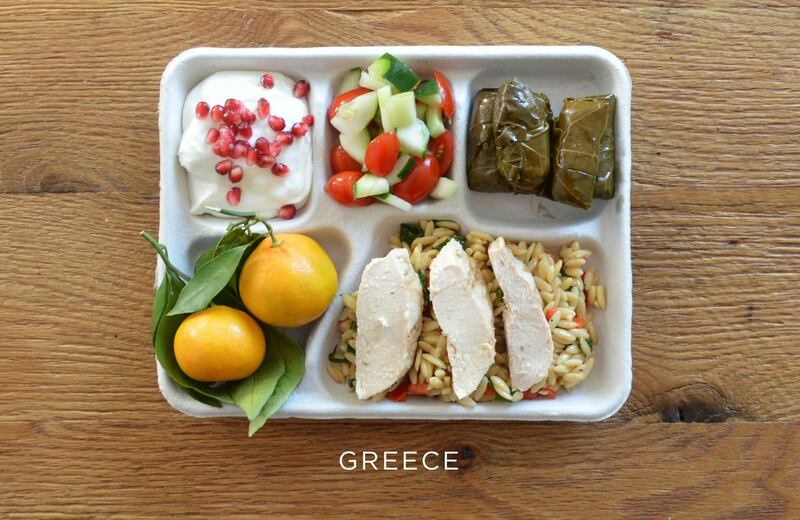 Sweetgreen, a healthy quick-serve restaurant that values local and organic ingredients, clarified disparity between American student lunches and those of other countries by photographing typical school lunches from around the world. The visuals are eye-opening. 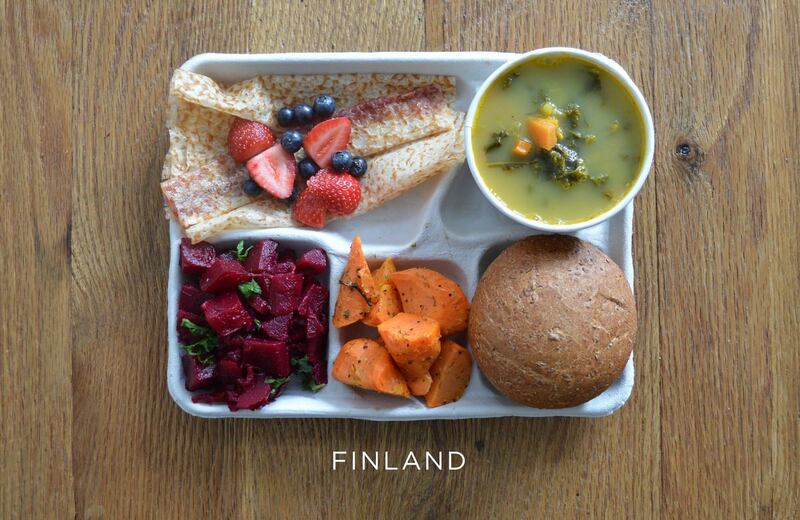 A representative for the company told The Huffington Post that to create these mock meals, Sweetgreen evaluated different government standards for school lunch programs and compared the data to real photos from students who had posted on several social media platforms. 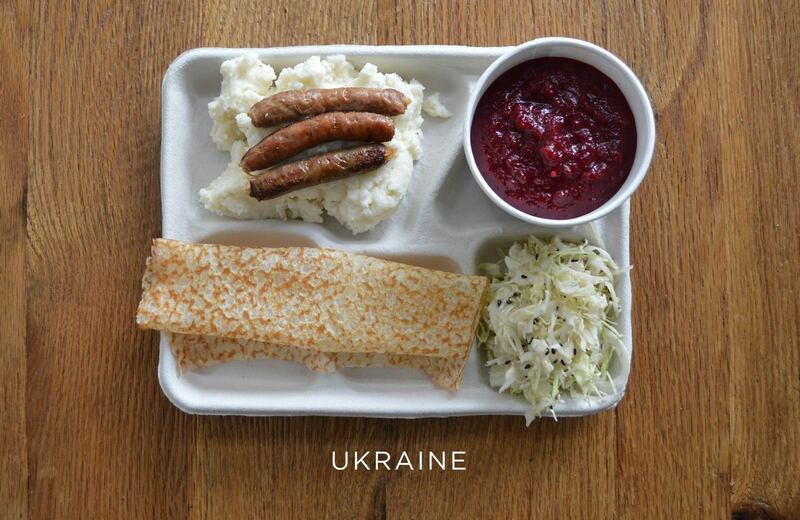 Because school lunches can vary by region, it's important to note that the images below aren't exact representations of a country's school lunch, but offer a resemblance. The U.S. government acknowledges that our nation's children should not go hungry, but there's less of an emphasis on what exactly our children are being fed. With the great risks associated with being overweight and news that diet may be just as important to mental health as it is to physical health, the state of students' nutrition should be all it takes to improve the quality of the lunch tray -- think fewer chicken nuggets and more produce. But America's got some work to do. That's not to say the country is apathetic: U.S. government sectors are making strides to improve the current condition of the food we're serving to our youth. For example, by 2013, all 1,300 of New York City's public elementary schools were equipped with a fresh salad bar in their cafeterias (and they'll be getting snazzier in the near future). First lady Michelle Obama is vocal and active about her passion for standardizing healthy meals and snacks for children. And in 2010, President Obama signed the Healthy Hunger-Free Kids Act, which requires child nutrition programs to improve and help schools provide healthier meals, including more fruits and vegetables. 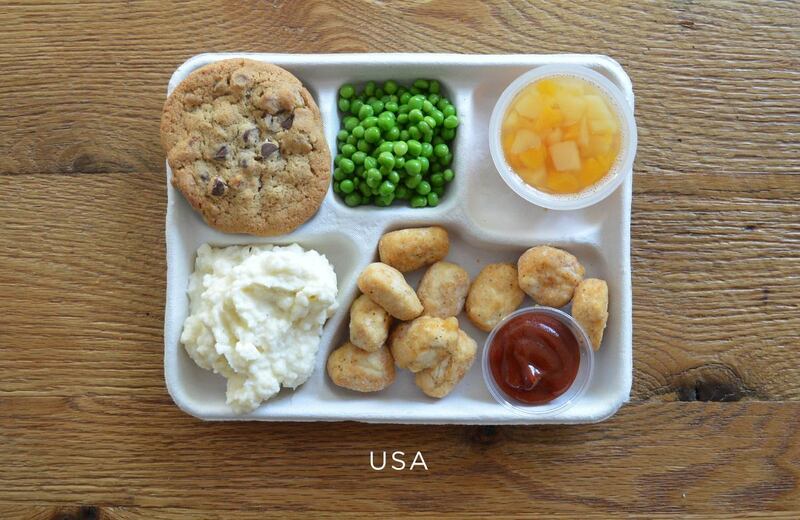 A typical lunch served in the U.S.
Fried "popcorn" chicken, mashed potatoes, peas, fruit cup and a chocolate chip cookie. 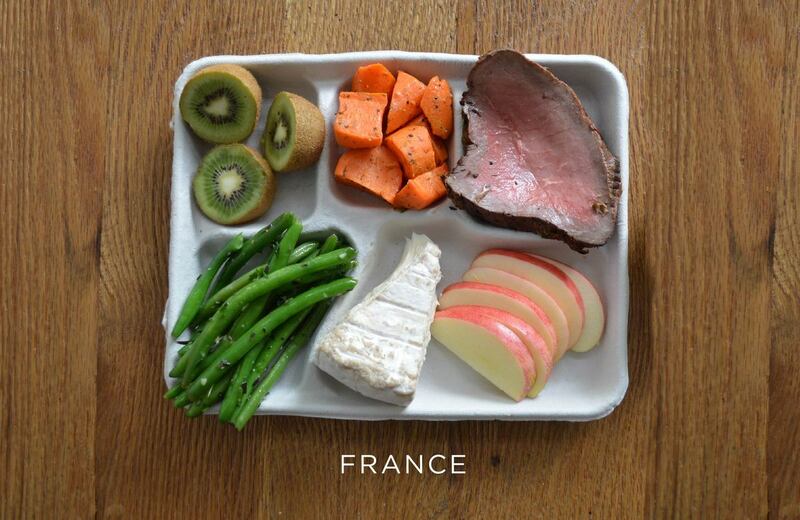 Comparatively, countries have got us beat when it comes to school lunches, nourishing their students with fresher, greener and more nutrient-rich foods that are very much brain foods. There's less fried stuff, less brown mush (see above). 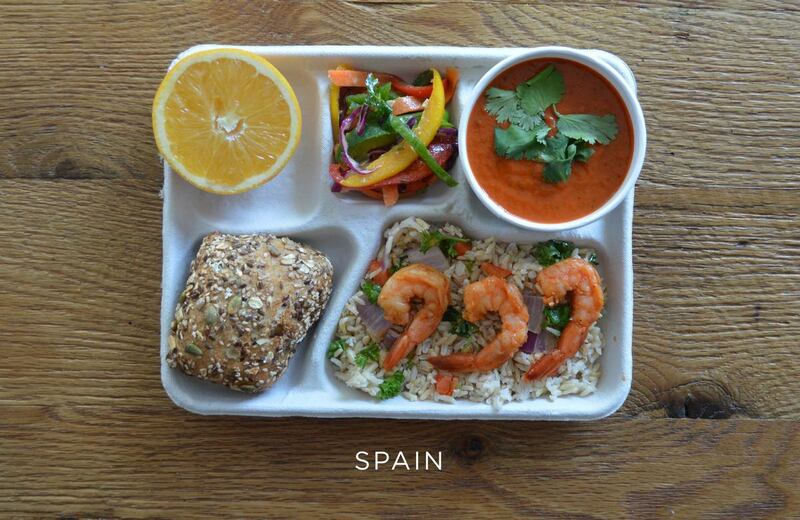 Take a look at the photos of school lunches served around the globe, originally posted on Sweetgreen's Tumblr. 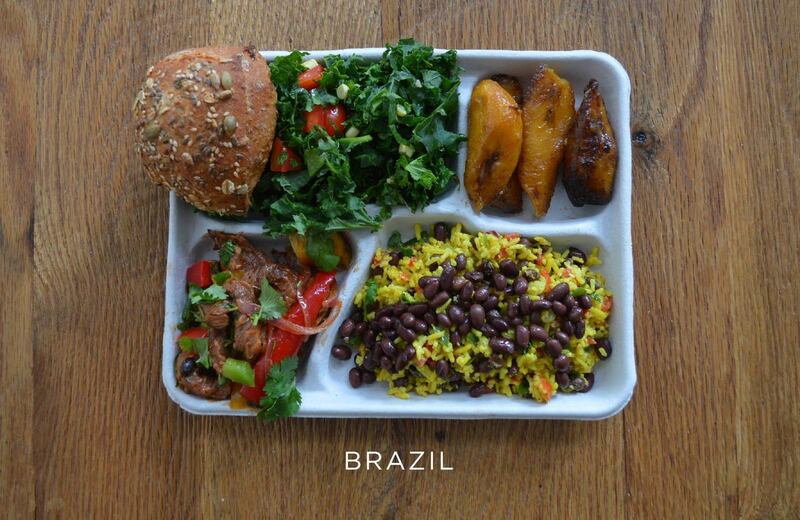 Which lunch do you want your child to be eating at school?